At last Capetonians will get what they desired: to share in the spirit at Fine Brandy Fusion, the country’s premier brandy event. This glam gathering of brandy lovers, the city’s social set and celebrities will be hosted from 9-10 May at the Cape Town International Convention Centre. Brandy Festival Cape Town! Coming? This luxury showcase of SA Brandy and the glamorous lifestyle surrounding it marks its Cape Town debut with the theme “Celebrate liquid gold. 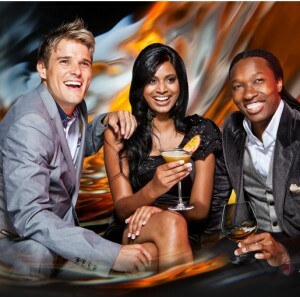 Fine Brandy Fusion Sandton, now in it’s 6th year, will again be held at the Sandton Convention Centre from 26 – 28 June 2013. At the swanky Fusion Bar ‘Fynbos’, winner of the FHM Brandy Cocktail of the Year competition will be served, along with other taste-shaping cocktails all recognising brandy’s extraordinary versatility. Also making an appearance is the winner of the Collisons Cosmo Cocktail competition. The exciting festival format will also see high-end lifestyle brands such as Montblanc and Nespresso rubbing shoulders with famous brandy houses and artisanal estate brandies. The perfect launch pad for new products, speculation is rife regarding who will try and eclipse the launch of Van Ryn’s 30 Year Old AU.RA, which was the talk of the town at last year’s event. Several new small artisanal brandy producers have come on board with their handmade liquid gold up for nosing and tasting in the Potstill Lounge. Times: 17h30 – 21h30 (no entry after 21h30).